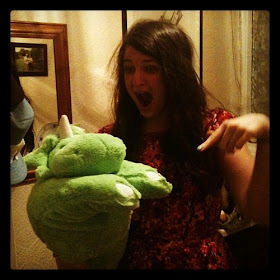 I mentioned that I'm most defnitely falling behind with things. 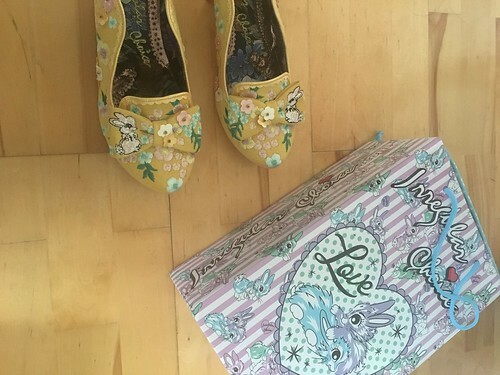 These shoes, one of three pairs which I ordered in the Irregular Choice sale, for example. I can't think how long they've been sitting around in their box waiting to be admired. Bunny Hop came in a few different colours and I liked the yellow best of all. 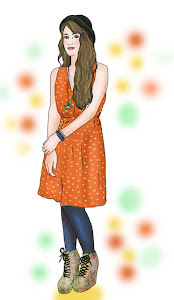 It's a kind of pastel mustard shade, I think. 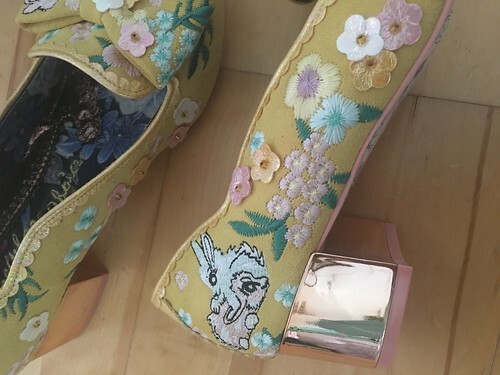 There's a low block heel which is a metallic rose gold colour, and the uppers of the shoes are covered in embroidered flowers and bunnies. 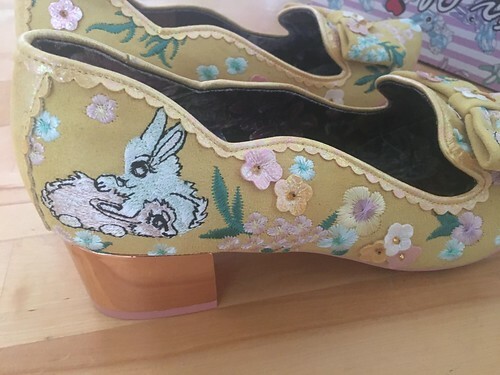 The edges are all trimmed with the tiny scalloped details I've come to expect from recent IC collections and the front of each shoe has a bow. I love a good bow. 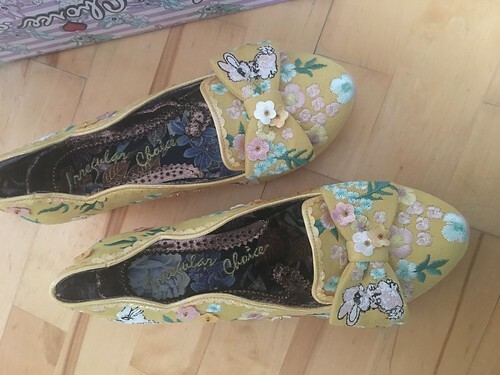 I also love the fact that the bow has an embroidered rabbit on the outside, and these details are mirrored across the shoes, unlike some I can think of in the past where the left and right have been the same.